If you are considering pursuing a medical malpractice case, or you think you may be sued for medical malpractice, you will most likely need a medical expert witness to assist with your case. The practice of medicine is complex, which is why in many states you cannot even begin a lawsuit until you have the opinion of a medical expert. But even if you do not have to have a medical expert witness, you should seriously consider hiring one to ensure you have the best chance of convincing the court of your position. Medical malpractice cases are frustrating for everyone involved. If you were injured by your medical provider, it is of course extremely upsetting and it is important that you set things right by winning your case. If you are a medical provider being sued, the outcome could be extremely costly and damaging to your career and/or business. Whatever side you are on, the fact is that the lawsuit you are dealing with is going to cause you significant stress—and convincing the court of the validity of your argument is of paramount importance. A medical expert witness is usually required for a medical malpractice case to move forward in the courts. Before allowing a case to proceed, the court will examine the existing information presented by the attorneys and decide if that information is too complex for a jury to understand on its own. Jury members come from all walks of life. While there is a possibility that one of the jury members could have medical training, it is not possible that all jury members will have such training. If the court decides that the information related to the case is too complicated it will not allow the case to move forward. Another major concern for plaintiffs and defendants is that the opposing side will have an expert medical witness but that their side will not have one. Whether you are pursuing a case against someone or you are defending yourself against a lawsuit, the last thing you want is for your argument to be unintelligible to the jury. Without your own medical expert witness, you risk finding yourself in a situation where what you have to say is not understood by those who are deciding the outcome of the case—especially if the other side has someone who is effective at explaining their argument. What Does a Medical Expert Witness Do? Deciding if you need a medical expert witness is easier if you understand exactly what one of these professionals does during your case. A medical expert is hired by your attorney to review the information about your case and to explain that information in a way that lay people can understand. Juries need clear information to make a decision. It is the expert witness’s job to deliver clear information. Was the standard of care met? The standard of care is the standard that all normal medical professionals would maintain in a situation similar to the one being described in the case. Every job has a standard that is expected to be met and the medical profession is no different. If the doctor or other medical professional did not meet the standard of care of his or her profession, it makes it much more likely that a medical malpractice case will be successful. Did the failure to meet the standard of care cause injury to the patient? It is not enough to just fail to meet the standard of care. A doctor might make a mistake or act negligently in his or her duties, but that alone will lead to a verdict of medical malpractice. The actions—or failure to act—of the medical provider must also lead to the injury. A medical expert witness is tasked with explaining to the jury what the standard of care should be for the medical practitioner in question and to give an opinion about whether failing to meet that standard caused injury. If you are the plaintiff or defendant in a medical malpractice case, it is in your best interests to hire a medical expert witness. 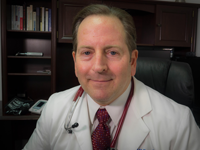 Please contact Dr. Edward Mallory today to get the expert witness testimony you require.